As this technology evolves, automotive companies are starting to look into the possibilities of 3D printing. If up until now, the 3D technology was used just to print certain car parts, nowadays you can have an entire vehicle printed from scratch in 44 hours. Imagine if you will, a world where you can go online, order a new car (or have it designed to your personal specifications) and have it shipped to your house in less than two days. That’s what the auto industry is envisaging. It may sound outlandish, but the truth is that the future of making cars is bound to change. Here’s how 3D printing will revolutionize the auto industry. Additive manufacturing enables a continuous factory production for individual parts and thus, prevents losses that take place during a normal production process. Also, speed is another factor to take into consideration, because a faster process means more continuity to the design and the overall development process. Also, if manufacturers find themselves in need of a more traditional part, that isn’t included in the mass production, they can easily print it by simply adjusting the settings on the printer. The possibilities when it comes to design flexibility are far vaster with 3D printing. This way, manufacturers can develop some more customized features, such as lightweight lattice structures, fancier geometries, parts made of more than two materials, hollowed structures that have electrical wiring going through them, and the list can go on, and auto dealerships can offer more variety to an ever growing consumer base. Need to forecast a more special requirement without constant interruptions? Do you want to have some better capacity plans? Your production delivery dates need to be a bit more accurate? 3D printers can give you just that. The end goal for car manufacturers is to achieve the highest grade of predictability as possible since predictability means being able to deliver a lot, and in less time. The price is easier to adjust when there is no problem with scheduling the unpredictable, or when there is absolutely no risk in the production process. Anything can be changed or modified with the CAD software, since there are online quoting engines, and engineers receive the delivery dates in real-time. With no need for final parts or new tools, manufacturers don’t need a large capital to satisfy customers’ needs. In a 3D technique, nothing that is not needed is produced, so the material usage is reduced significantly. Even more, with components that are so lightweight, the handling costs will be drastically lower. 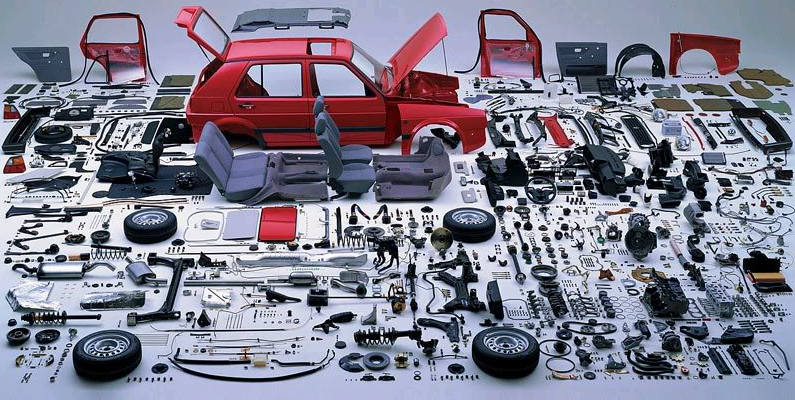 Automotive companies use recyclable materials that have a low rate of fuel emission to build 3D cars. You won’t find any other automobile with a lower carbon print than a 3D printed one. More than that, the fabrication process requires only a small amount of electricity, compared to the traditional process. You might not know this, but 3D printing isn’t such a new thing. Soon after its development, more than 30 years ago, fans of radio controlled cars quickly adopted the technology. As 3D printing became more popular in recent years, automotive companies are being to use the technology to develop production tools and prototypes of complex models. Think about it this way: why produce multiple designs to find the perfect one when you can create it on a computer, play with it a bit there until it reaches the desired shape and then simply print it? No doubt that this industry is still one in development that needs time to improve. But with technology advancing so rapidly these days, it’s not hard to imagine that 3D printing will become accessible to many people very soon. Author Bio: Jason Bekiaris Marketing Manager at Dilawri’s Crown Auto Group.